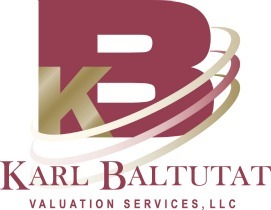 Karl Baltutat Valuation Services, LLC provides a wide variety of real estate appraisal and consulting services, for such clients as banks, government agencies, private investors, developers, financial planners and attorneys. The principal of the firm, Karl Baltutat, is a Certified General Real Estate Appraiser in the State of Arizona, holds the Appraisal Institute’s MAI designation, and has been appraising in the metropolitan Phoenix area since graduating from Arizona State University (Real Estate Major) in the mid 1980s. While Karl Baltutat Valuation Services, LLC has experience appraising various types of commercial and residential real estate, the primary focus is on vacant land (residential, commercial, industrial, agricultural, etc. ), residential developments (single-family subdivisions, townhome and condominium projects, and apartments), commercial and industrial subdivisions, and master planned communities throughout metropolitan Phoenix (Maricopa County and Pinal County). For a full resume, list of references, State of Arizona Certification, Certificate of EE&O Insurance, or any other information pertaining to Karl Baltutat Valuation Services, LLC, please feel free to contact us.